Is West O Beer open year round? Of course! 10 Feb Is West O Beer open year round? Of course! It’s true that some of The Lakes closes up shop during winter…but not us. 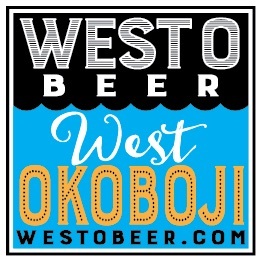 Our West Okoboji tasting room is open year round, every day* but Mondays, weekends are hopping, and Wednesdays are our famous West O Wednesday. So come visit us! The tasting room is warm, the atmosphere is warmer, and there are plenty of craft brews on tap, including our gold medal-winning CocO Stout. Order in some food. And oh yeah: kids are welcome – games to play – even root beer on tap.